The house is unbelievably pretty and so peaceful. It's like a home in the middle of the countryside. 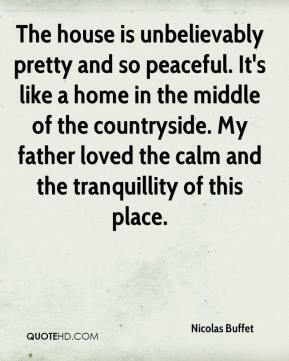 My father loved the calm and the tranquillity of this place.